NorthStar Custom Baits brings you the "TWERK". This bladed jig brings with it a shake like no other. The Twerk delivers a hard thumping blade coupled with an erratic swimming action that is sure to drive the fish wild! 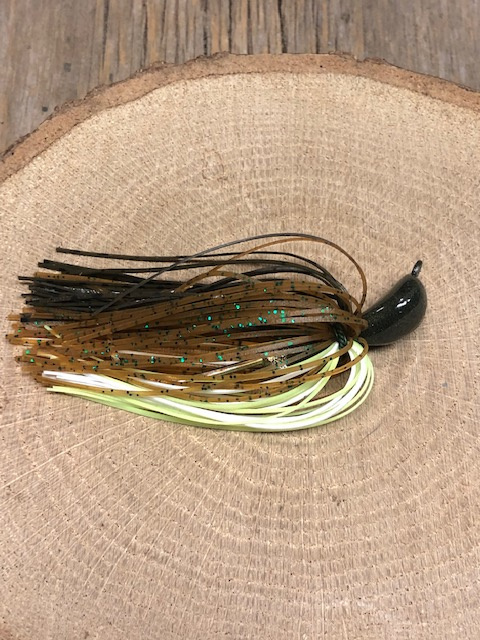 Features include: Wire tied 50 strand silicone skirts in our famous designs, Multiple blade color and design options, Premium split rings, Ultra sharp nickel Mustad hooks and 30lb snap locks to secure your connection to the jig. Of course all jig heads feature rock hard premium paint that stands up to all the abuse you can through at it. So when the wind is blowing on your favorite grass flat reach down and grab the TWERK!